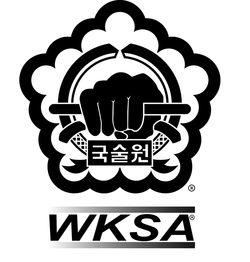 The development of Kuk Sool Won™ is a significant event in the history of Korean martial art, because it represents a systematic study of the entire range of traditional Korean martial arts. In order to understand the significance and the complexity of Kuk Sool Won™, it is important to differentiate between a style of Martial Art and a system of Martial Art styles. Tae Kwon Do, Shotokan, Judo, Tang Soo Do, Aikido, Hapkido, and so on are all different martial art styles. Kuk Sool Won™, on the other hand, is not really a style of martial art at all, but is instead a highly scientific, comprehensive martial art system. 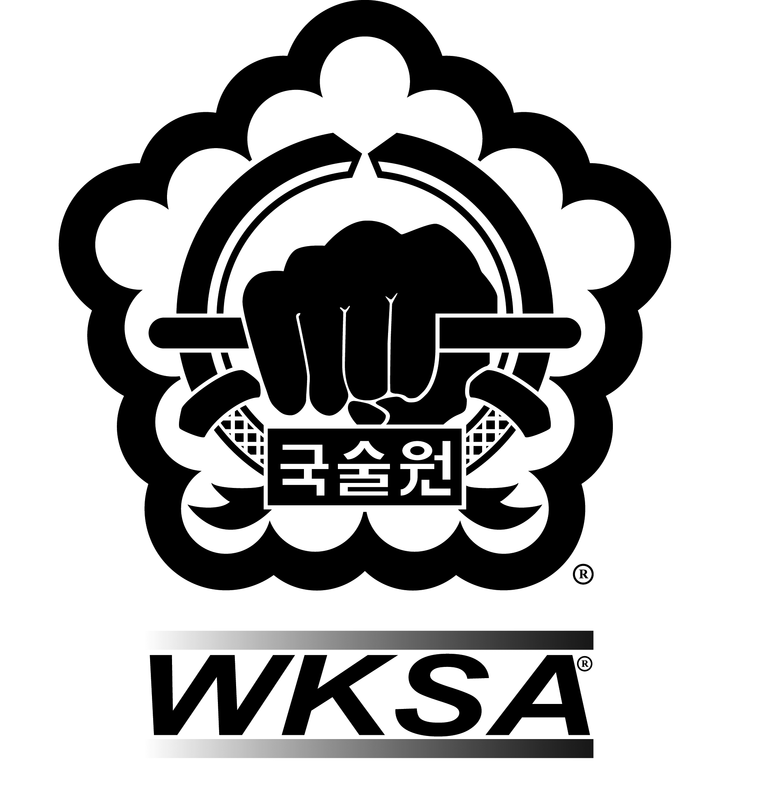 This means that Kuk Sool Won™ is not limited to a particular style of martial art, but instead incorporates the entire Korean martial art spectrum dating from ancient times to the present. It includes many Martial Art styles within its scope. When I was young, I devoted myself single mindedly to the martial art world. I focused solely on training, forgetting everything else, sometimes even forgetting to eat and sleep! I traveled from province to province and village to village to learn from over a hundred masters. They taught me, one by one, the hidden secrets of martial art, developed and refined over centuries by many generations of martial artists. Sometimes I learned only one special technique from a master. After years of learning and research, I did not want to keep the priceless arts of my ancestors to myself. After much meditation and consideration, I decided to teach the ancient martial arts of Korea to the public. That is when I founded Kuk Sool Won (Korean National Martial Arts Association). 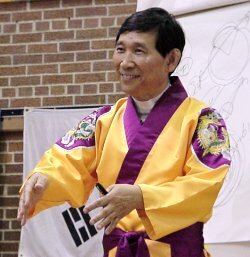 At first, Kuk Sool was taught only in Korea, where it was tremendously popular. Then, in 1974, I came to the United States to bring Kuk Sool to the world outside of Korea. 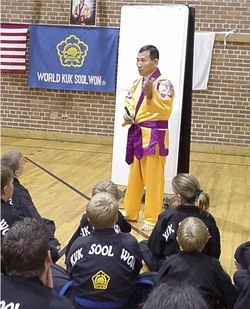 The Kuk Sool organization in the United States started from one school. In ten years there were seventy-five schools. Today, forty years from the time Kuk Sool was founded, there are several hundred schools in many countries throughout the world. I believe this phenomenal growth is due to the quality of our martial art and to the support of its members and officers. Since Kuk Sool Won™ us a traditional Korean martial art, etiquette plays an extremely important role in developing the martial art character of the student. Following the rules of etiquette develops self-control which is an essential prerequisite to advanced martial art training. Proper etiquette demonstrates respect for the art, for one’s instructors, and for one’s fellow students. In fact, etiquette is the first section of the Kuk Sool Won™ Progress Chart, and is the single most important requirement to be eligible for further training in Kuk Sool. Bowing is one of the most visible manifestations of martial arts etiquette. Bowing represents the mutual respect that instructors and students should feel among themselves and towards each other. When you bow, you are not bowing to that person, but to the knowledge and skill that person has acquired, and to the rank that they have attained. 1. As a member of the World Kuk Sool Association, I pledge to obey the rules of the association and to conduct myself in accordance with the true spirit of martial art. 4. I pledge to strive to promote international goodwill and world peace through the practice of martial art.